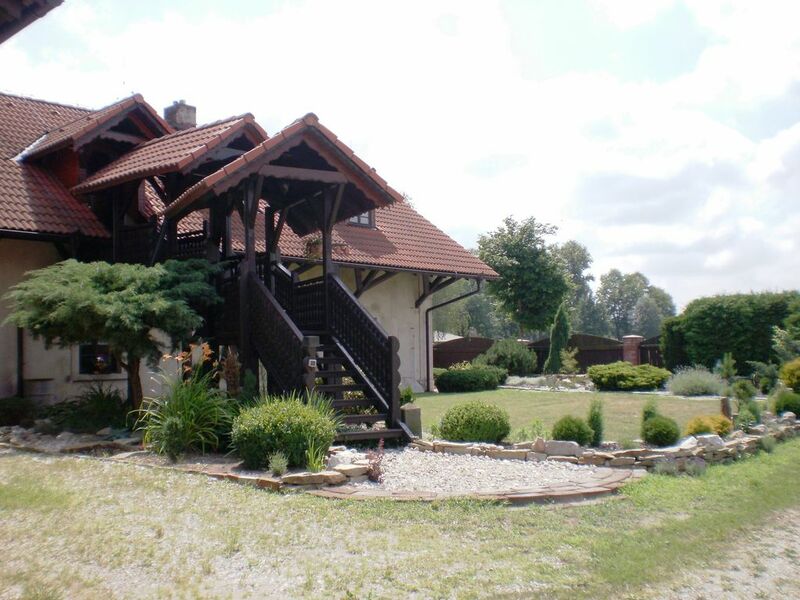 Belec 39 offers one of its first a stunning holiday apartment to rent, within a family house in superb village location, nearby river Orlice and historical town Hradec Králové. We are situated in the heart of East Bohemia with rare number of castles, colourful woodlands, mountains and plenty of tourist attractions. A spacious luxury apartment with its own entrance, it can accommodate 2 people (plus an extra bed can be provided for a child or an adult). Wooden balcony; cosy wooden burner; large bathroom (bath tub and separate shower room). Located in north east Bohemia, the Hradec Králové region provides the perfect background for pleasant summer and winter holidays, weekends, or just a one-day trip. Meet its rich history, visit some of the varied historical or religious monuments, theatres and museums. Our region welcomes adults and children, is great for sports, spicing up life with exciting activities and for relaxing and recharging your batteries. Belec nad Orlicí is popular with cyclists and hikers, as the area offers spectacular woodlands and scenery. We are only 124 km from the capital, Prague. An extra bed can be provided: for a child up to 3 – free of charge, for a child over 3 or an extra adult – an additional 20 Euros per night will be due. Payment in full, plus a deposit of 150 Euro, must be received no later than 21 days before the day of arrival. Cancellations can also only be accepted no later than 21 days before the day of arrival.